Preheat the oven to 350° and position 2 racks in the upper and lower thirds. In a medium bowl, mix the peanut butter with the sugar, baking soda and egg. Stir in the peanuts and chocolate chips. Roll tablespoons of the dough into 24 balls. Set the balls on 2 baking sheets, and using a fork, make a crosshatch pattern on each cookie. Bake for 15 minutes, shifting the baking sheets from front to back and bottom to top, until the cookies are lightly browned and set. Let cool on a wire rack. 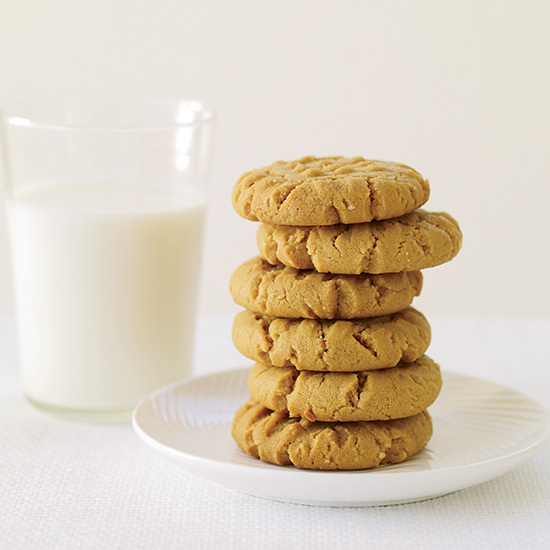 Review Body: These are the best peanut butter cookies ever. I sprinkle honey-roasted chopped peanuts on top before baking. Been making them for years. Absolutely 5 star.